Once the tube is in, install the other side of the tire starting on the opposite side of the valve stem. Ideally you will be able to do this by hand, as tire levers can pinch your tube or even damage the rim. Think about rolling the tire’s bead away from yourself (click to enlarge). 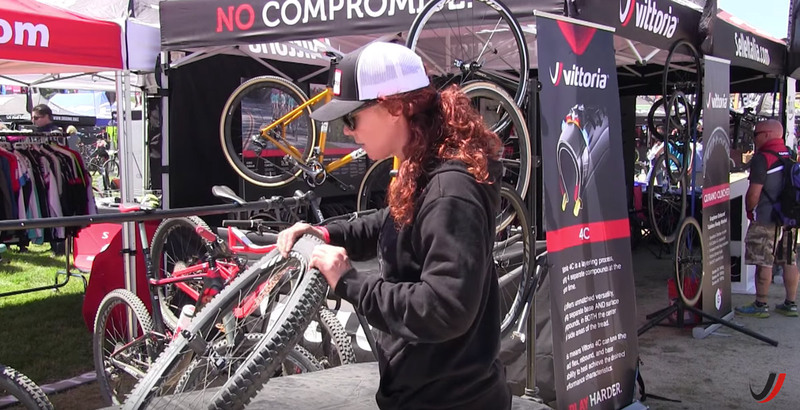 Editor’s Note: This article is part of the Vittoria How-To Series and is courtesy Vittoria. 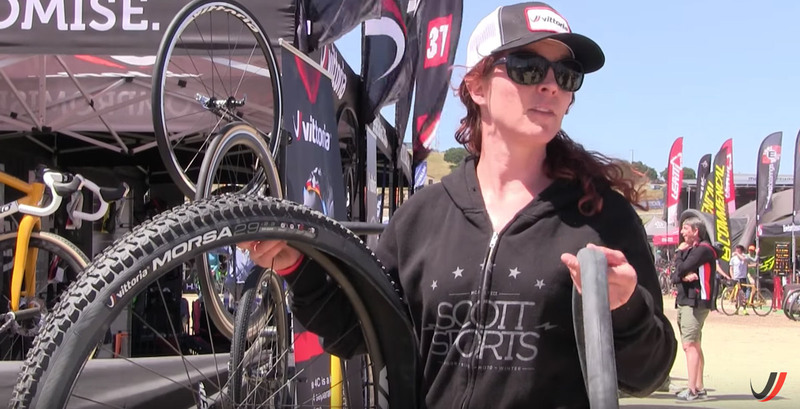 One of the most elemental skills all mountain bikers need to learn is how to put a tube in a tire. 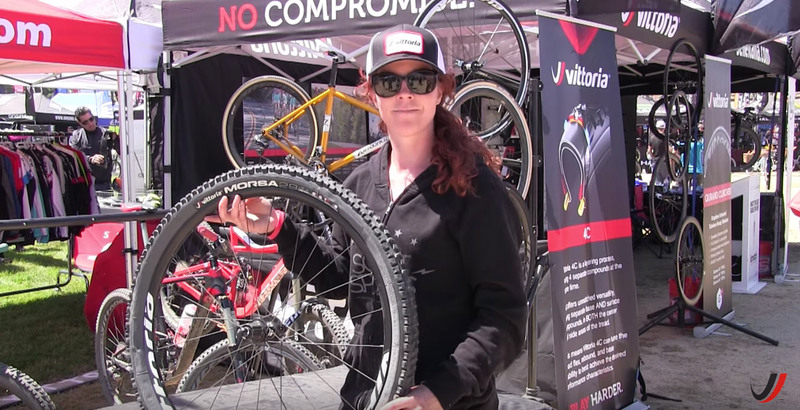 Whether setting up a new wheel or dealing with a flat on the side of the trail, this next video in the Vittoria How-To Series is a must watch. 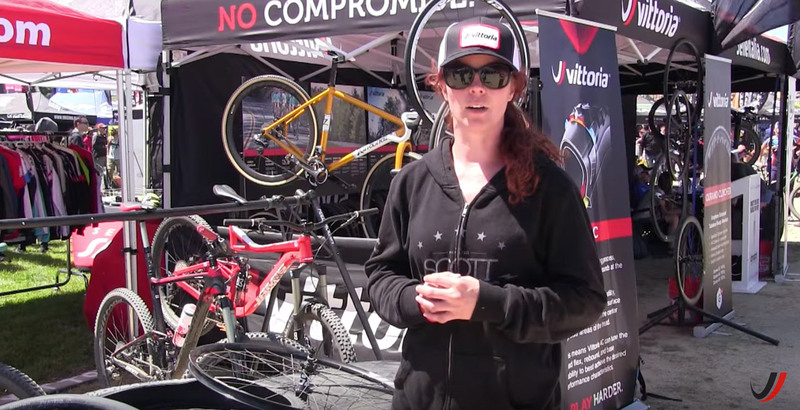 Press play to see pro enduro and cross-country racer Teal Stetson-Lee walk you through a process that can mean the difference between continuing your ride or walking back to the car. Here’s a recap of what you just saw, plus a few bonus points. 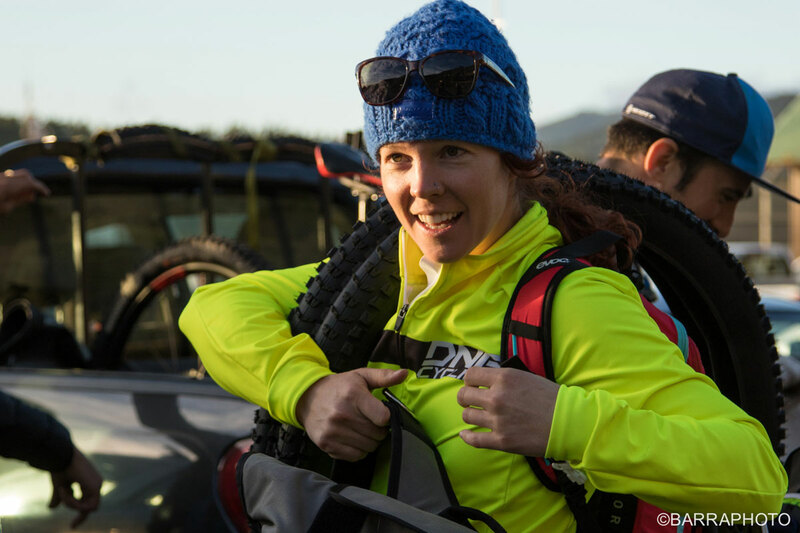 Pro enduro, cross-country and cyclocross racer Teal Stetson-Lee goes through one of the most important skills all mountain bikers must possess (click to enlarge). Like a lot of things in life, practice makes perfect. So best to run through this process a few times in the garage. That way you’ll have it mastered when it comes time to change a flat out on the trail. 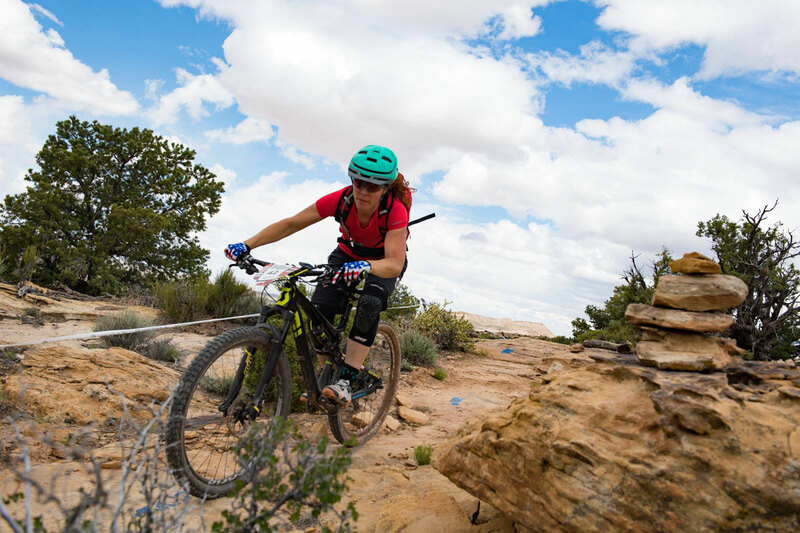 Pro enduro, cross-country and cyclocross racer Teal Stetson-Lee goes through one of the most important skills all mountain bikers must possess. When installing the tire on the rim, line up the hot patch (aka logo) with the rim’s valve hole. This helps locate future punctures — and it just looks pro. Start by installing one side of the tire onto the rim. Next inflate your tube just enough so it holds its shape. This can be done with a pump or even your mouth. This helps prevent pinching the tube when installing the other side of the tire. Once the tube is in, install the other side of the tire starting on the opposite side of the valve stem. Ideally you will be able to do this by hand, as tire levers can pinch your tube or even damage the rim. Think about rolling the tire’s bead away from yourself. 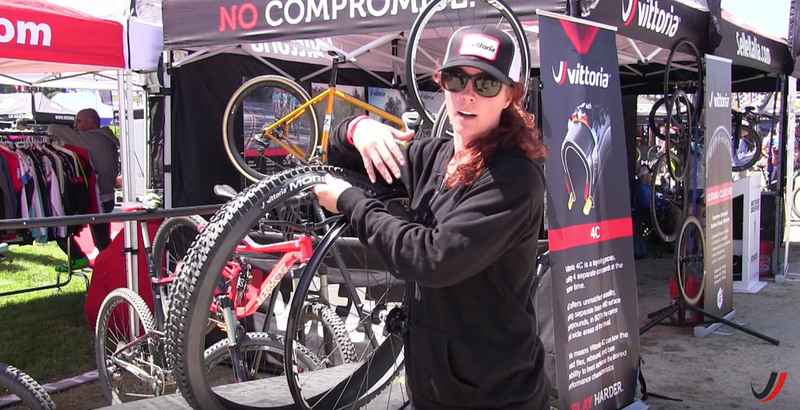 Now inflate your tire, put your wheel back on your bike, and go ride. Stetson-Lee is a Vittoria sponsored pro racer who is a member of the Scott-3Rox team. Besides racing bikes, Stetson-Lee has worked as a wild-land firefighter, taught tobacco prevention, and served as an advocate for a domestic violence hotline.